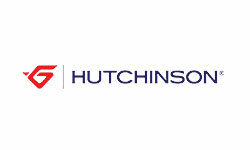 We stock a wide varietay of Hutchinson products including clamps, seals, insulation and conduits. We keep in stock most of the insulation parts for the Airbus family APUs as well as some thermal interior insulating film. We now have in stock a wide range of ATR counduits for Air flow. ABS0396 ABS0805 ABS0901 ABS0902 ABS0975 ABS1500 AN735 AN742 AS14244 AS21919 AS5587 AS7351 ASNA0021 ASNA0022 ASNA0032 ASNA0033 ASNA0182 ASNA2159 ASNA2160 ASNA2172 EN2901 EN4113 EN4114 EN4234 JN0206 JN0210 JN0242 JN0264 LN9490 LN9491 METALISATION MS21103 MS21106 NSA5515 NSA5516 NSA5517 NSA5518 NSA5519 NSA55212 NSA55213 NSA55214 NSA55217 NSA55218 NSA55219 NSA55222 NSA5525 NSA5526 NSA5532 NSA5535 NSA5575 NSA5585 NSA57304 NSA935807 NSA935808 NSA935809 NSA935812 NSA935813 S4648 SANS TYPE940 ABS1339. Contact B&B Marketing enterprises at philippe.courtay@magellangroup.net for enquiries.